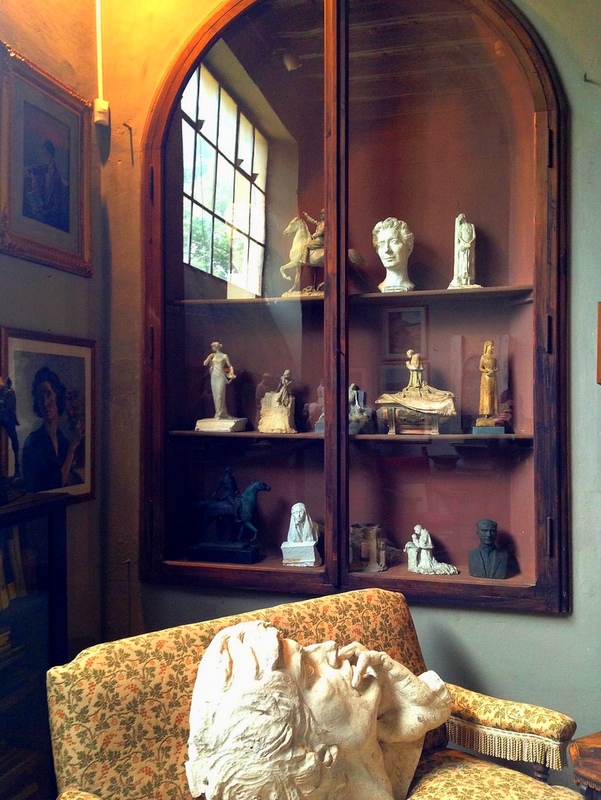 A renowned twentieth-century Italian sculptor has left his apartment and workroom for us to enjoy. 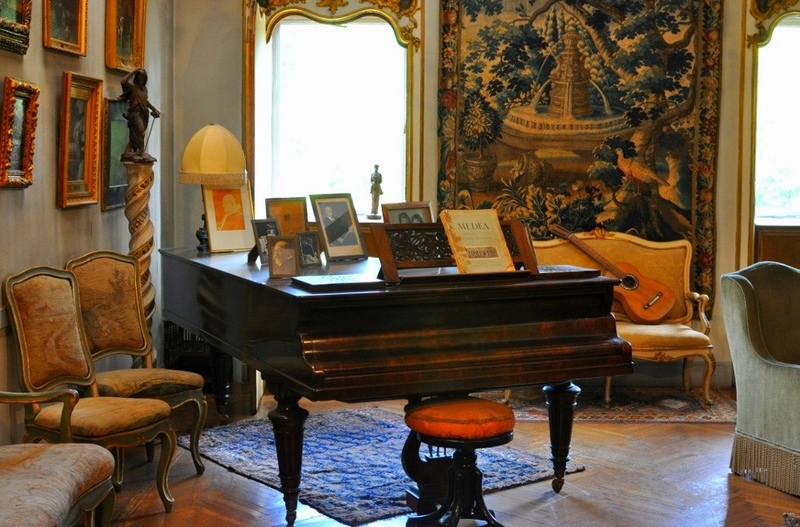 where each personal object, each piece of furniture tells an enchanting tale of art and dedication. In 1926, when Pietro Canonica moved to the small house placed in the very middle of Villa Borghese, he was a recognised sculptor at the top of his fame. Since before War World I, his clients had been the kings regnant belonging to the illustrious dinasties which ruled Europe: from the Czar Nicholas II of Russia to Edward VII of England, his monumental bronze sculptures celebrated the power of the royal houses and the triumphs of the victorious armies. His mastery in sculpture was known and sought after also in Turkey, Iraq and as far as Argentina. 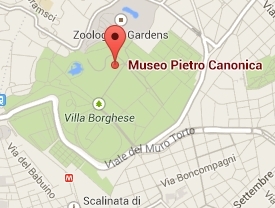 Villa Borghese was for him a sort or retirement. 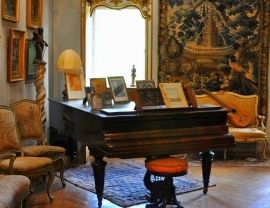 He developed a more personal style, which found its perfect setting in the warm and comfortable rooms whose furniture he had personally chosen following a vintage mood. 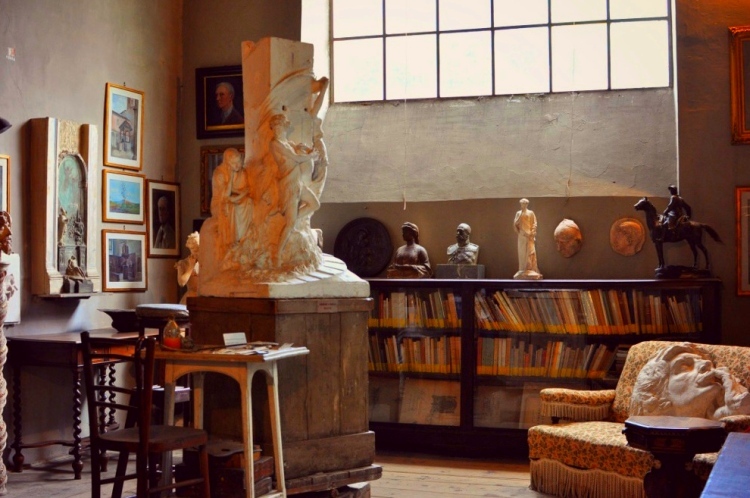 And the center of his artistic life became the studio, with the wooden plank floor, the unfinished sculptures, the bookshelves, and the great window from where sunlight of Rome flooded in. A walk in the spirit and ambiance of a vanished world. 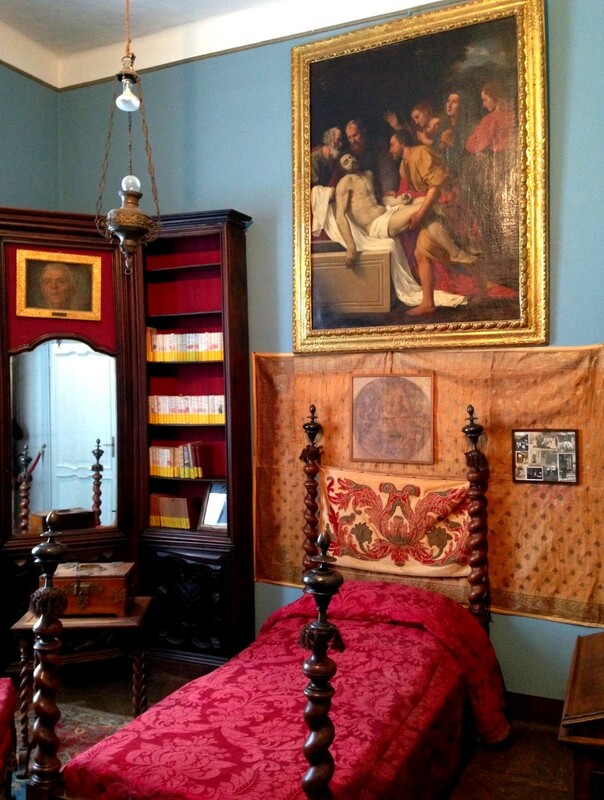 It is probably to be ascribed to the long and quiet existence of its former tenants that today the "Museo Canonica" looks like the set of a late eighteenth-century movie rather than an actual museum. 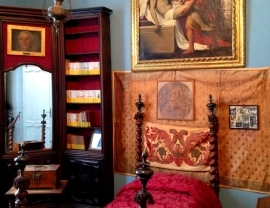 A real plunge into the past takes place as the visitor enters the doorway and climbs the stairs to the upper private apartment where the artist has lived for so long... The sculptor paraphernalia still lay untouched on a small table in Pietro Canonica's studio... Everything is flooded with the noble, green radiance of Villa Borghese's sunlight, where this stroll in time - rather than in space - begins and ends.